Business venture discussions usually involve the exchange of confidential information such as business plans and financial data, and it is common for the parties to enter into a non-disclosure agreement to protect that information. 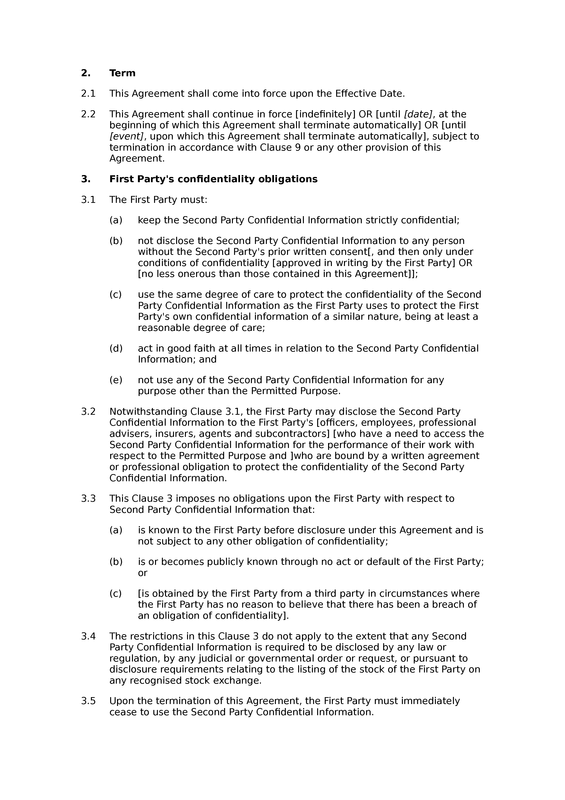 This is a mutual or two-way agreement, protecting the information of both parties. 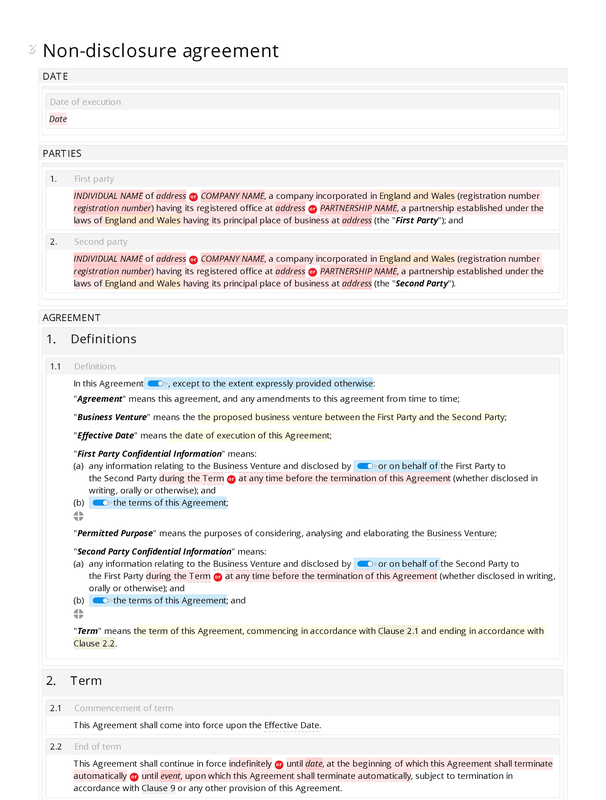 The default provisions are mirror images, but the agreement can be adapted so that different rules apply to each party. 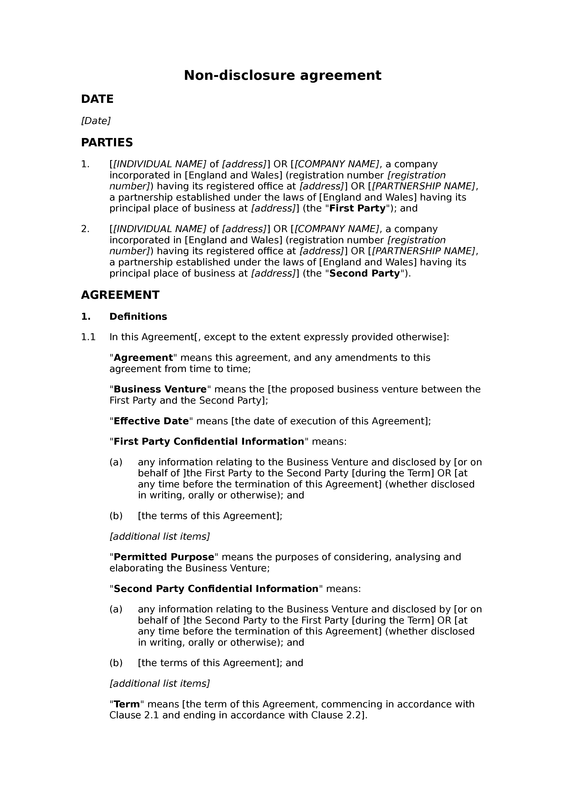 This documents is a lightly modified version of our mutual/premium non-disclosure agreement. 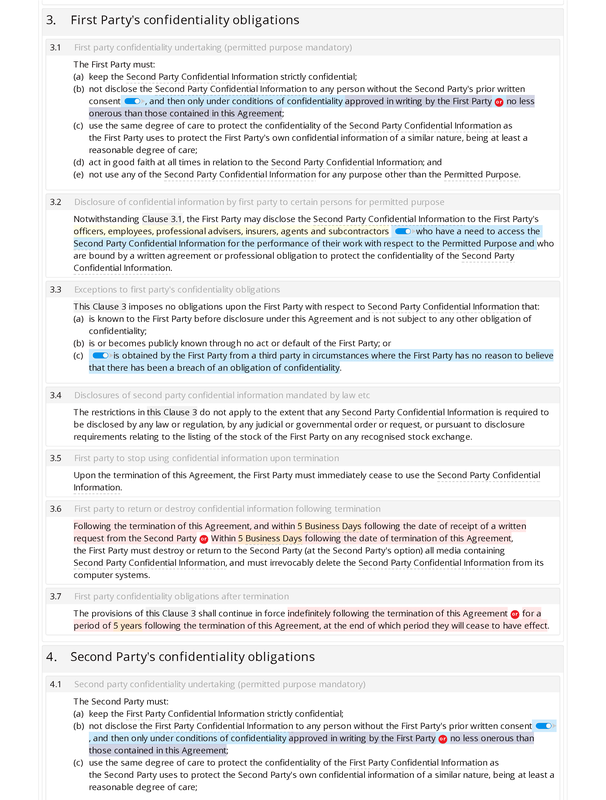 's confidentiality obligations: first party confidentiality undertaking (permitted purpose mandatory); disclosure of confidential information by first party to certain persons for permitted purpose; exceptions to first party's confidentiality obligations; disclosures of second party confidential information mandated by law etc; first party to stop using confidential information upon termination; first party to return or destroy confidential information following termination; first party confidentiality obligations after termination. Publicity: no public disclosures by second party; no public disclosures by first party. 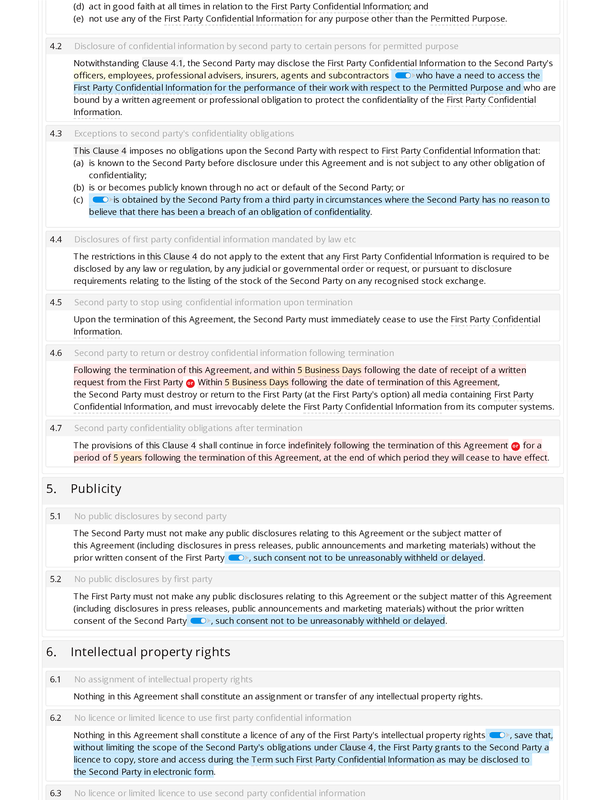 Intellectual property rights: no assignment of intellectual property rights; no licence or limited licence to use first party confidential information; no licence or limited licence to use second party confidential information. Indemnities: first party indemnifies second party upon breach; second party indemnifies first party upon breach.